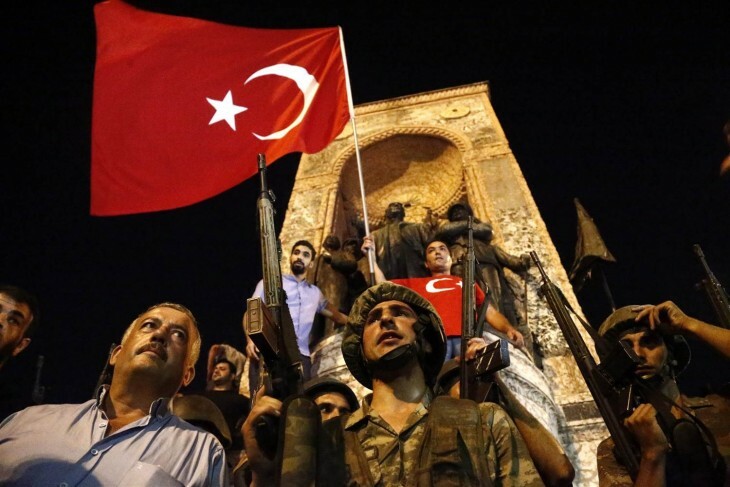 On July 15, a group of military officers and police officials were set up try to a coup against president Recep Tayyip Erdoğan to take over the power on their hand. As a leader of “Hizment Movement” another name is Gülen Movement that was – at the beginning – an Islamic transnational religious and social movement led by Islamic theologian and preacher Fetüllah Gülen, who was exiled in United States since 1999. The Turkish power authority has designated this group as a terrorist organization and has accused it of trying to infiltrate the Turkish state and over throw the government during a failed coup. Also the authorities have arrested thousands of its soldiers and judges and over 10 thousand education staff were suspended as they were the followers of the Gülen movement as the government claimed. Therefore, it was the worst coup scenario in its history so far. As a faction in the military turned their weapons on the country’s own people. 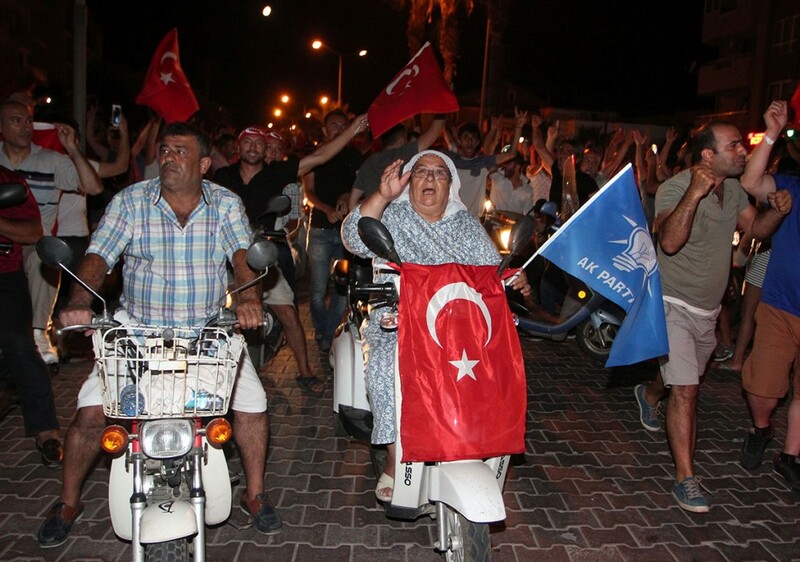 Turkish people continued to show their encouragement highly. On a global scale, they learned to protect their own democracy, the age of Sultan from the invader as the name of ally who are sometimes showed their left hand behind these scenes. 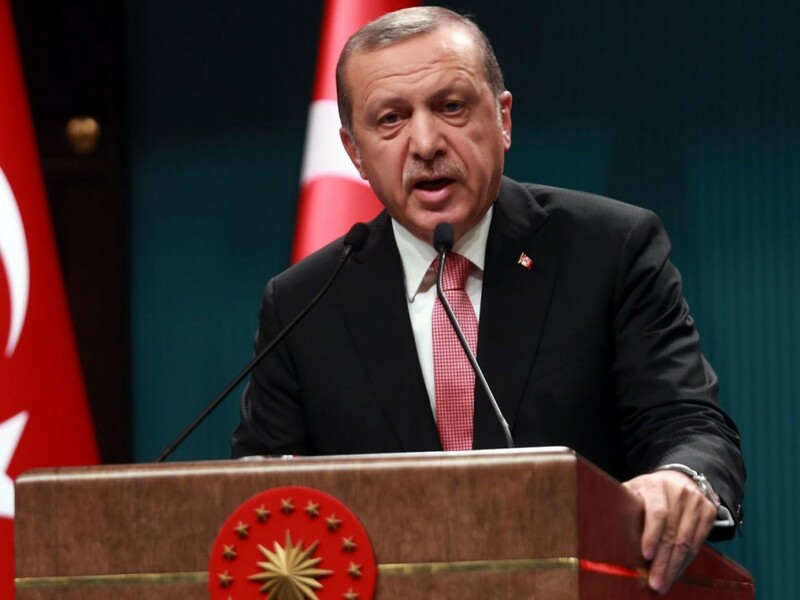 The courage of the Turkish people has increased following the call from President Recep Tayyip Erdoğan to take to the streets to demonstrate against the coup attempt that was a difference in Turkish political history. No Western public has ever experienced such a horrific time in its history, since the enmity from its own military would mean a bigger shock than enmity from well-known enemies. It was a grand display of courage and affiliation for the democracy. Turkey’s relation with Russia, why not for re-build relation with EU and USA based as an old ally? 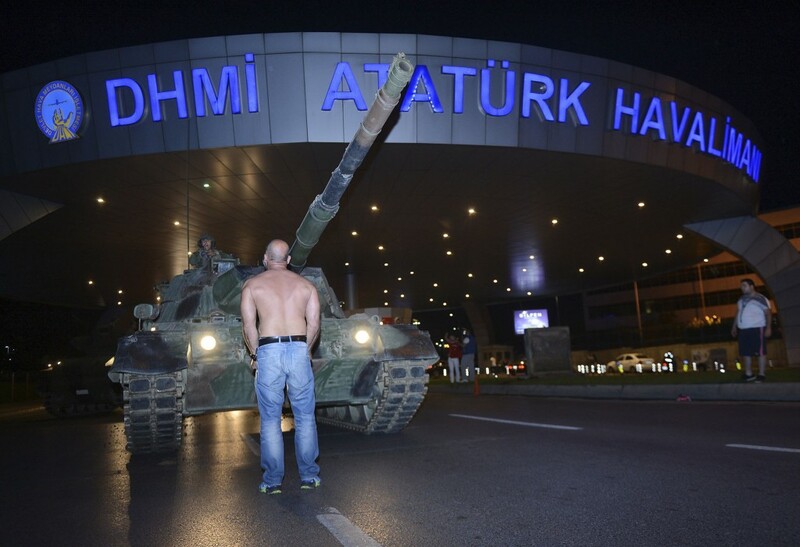 I think, because of some western misbehaveryet to support the coup as like as showed in Vienna airport where passengers are advised not to go to Turkey as it would mean supporting Erdoğan. German tried to prevent pro-Erdoğan rallies by Turks while the Belgiams allowed to pro- PKK rallies in Brussels. There are even some Europeans who are calling for Turkey’s expulsion from NATO. A column published in Turkish daily newspaper Daily Sabah written like as- some Americans who fell deep remorse that the coup failed. Why not their stand to Turkey and why they wanted to annihilate of this country’s live democracy structure? If the coup would be successful, what can be the result? After that, the coup was failed by leading of Turkish people, some of them sacrifice their life. As we know, Turkey is a great deal for the western world due to his position as a geografically in central position and that is situated in Asia and Europe. For this result, worlds wants toTurkey as a middle east buffer player as a partner or sometimes as a loyalist. We saw this in past years that as a mediator from US-based coalition against ISIS in Syria and another key role from the Europe side. Especially refugee flow that was restricted to enter the Europe by leading part of Turkey. At now everything is complex due to past 15 july coup attempt. The consequences of the failed coup are also likely to affect Turkey’s relationship with Europe. In March, Turkey and the European Union agreed on an ambitious package of measures designed to stem the flow of refugees to Europe. But, while the arrangement has been a clear success, it remains politically vulnerable. For Turkey, the biggest prize was the EU’s commitment to lifting visa restrictions on Turkish citizens traveling to the Schengen Area, a move scheduled for June. Instead, visa liberalization was postponed until October, owing to Turkey’s refusal to comply with a few remaining conditions. But Turkey’s Foreign minister said that, if they not to process visa liberalization before October, we will cut out our deal from EU as membership. As a result, a diplomatic crisis by October is likely, with Turkey claiming that the EU has failed to honor its commitments. The entire refugee package, under which Turkey continues to host more than 2.8 million Syrian refugees, could then come under threat, with consequences for the flow of asylum-seekers. Minister of Foreign Affairs of the EU Federica Mogherini reminded that Turkey is obliged not to reintroduce the death penalty under the European Convention on Human Rights and as a member of the Council of Europe. No country can become a member of the EU if it introduces death penalty. The present situation people being arrested, suspended or placed under investigation looks horrible for the EU. Here, we can say as the saying of president Erdoğan to EU that, oil your own machine and its not a our administrational issue, but its a public issue of this country’s, if they want this then we would pass the bill in the paliament as democracy beloved country.So this is union needs to keep good relations with the Turkey. In another point, the coup has therefore brought a new urgency to the need for the two NATO allies to settle this important dispute. A failure to find common ground under these changed circumstances would weaken prospects for cooperation at many levels. The effectiveness of the joint fight against the Islamic State (ISIS), which relies heavily on air strikes originating from the Incirlik airbase in southern Turkey, would doubtless be jeopardized. More broadly, a breach in this key bilateral relationship would weaken NATO cohesion in its policy toward Russia, with Turkey seeking to move beyond the confrontational framework set out at the Alliance’s recent Warsaw summit. Turkey’s relations with America as a one of NATO member were already strained by America’s support for the Syrian Kurdish militia groups known as the People’s Protection Units (YPG). The YPG are widely seen as the most effective force fighting IS in Syria, but they are closely linked to the Kurdistan Workers’ Party (PKK), an outlawed guerrilla movement that has been fighting the Turkish state for decades in the name of Kurdish autonomy, and has carried out numerous terrorist attacks. Turkey views the YPG as terrorists too, and has repeatedly asked America to ditch them, only to be snubbed each time. Ankara is perfectly aware how valuable it’s NATO membership is for the country and in return, how Turkey’s membership is important for NATO. If Turkey decides one day to leave NATO as the cause of it’S basis and reality. The military alliance will coup, but the decission would have seismic impact on Turkey and it’s sourrounding region. At now, no plans to leave the NATO for Turkey. But somebody claimes, no needed toTurkey as a NATO member because of it’s plays or a number of issue has grown to tiresome. I think, if any one do not want, he can play and create probably be an anti NATO one. Pushing Turkey toward Russia after coup attemptthis is one of them. What if the Coup Attempt was Successful? First of all, While remembering the Cairo massacre during the the coup attempt, the events in Cairo a few years ago allow us to shed light on what could have happened in Turkey and in the region if the coup attempt had been successful judging by the resistance of the people in the first hours of the attempt and considering the number of people killed and injured in the failed coup attempt. we can guess that if the coup attempt was successful, the thousands of Turkish people on the streets would have been targeted with the use of force by the new junta and in difference cities. Not public, but also would target the elimination of the political leadership and would happened political uncertainty and internal unrest. In fact, although some think that the success of the coup would have led to better relations between Turkey and some Western countries, a Turkey that was ruled by a junta that had destroyed every major state institution and killed thousands of the people would have had a hard time protecting and preserving state authority like as Egypt and territorial integrity and national unity. Turkey would be plunged into chaos and possibly into civil war with violence tearingcountry apart like syria and Iraq. Many Turks as well as the nearly 3 million Syrian refugee now living in Turkey would pour into Europe, creating a massive human tragedy.The kurds would get their share of the tragedy. This significant risk for international security was stopped by the Turkish people, its democratically and elected government, its leaders and security personnel. The recognition of this and understanding of the possible risks that the coup could have brought to Turkey and the region would be the first step to end the disappointment of the Turkish public and politicians about the Western world. The “good guys” could have brought many unwanted consequences to regional stability and international security. In late June, proper time Erdoğan offered an expression of regret for the downing of a Russian fighter jet that had violated Turkish air space last November, paving the way for an end to the fairly damaging sanctions Moscow imposed in response and a full normalization of Russo-Turkish relations. More damaging were sanctions on Turkish agriculture, construction companies, and tourism. Collectively, the European Bank for Reconstruction and Development (EBRD) estimated that Russian sanctions would shave as much as 0.7% off Turkish GDP this year—at a time when the Turkish economy faces numerous additional challenges. On the other hand,in 2015, Russia was Turkey’s third largest trade partner, despite economic headwinds in both countries. The most important component of that trade is energy—while Turkey has succeeded in diversifying its sources of oil in recent years, it still buys more than half its natural gas from Russia. Russia’s military involvement in Syria made the Turkish predicament worse. Russian intervention helped turn the tide on the ground, ensuring Assad would not be overthrown and allowing his troops to retake large swathes of territory. It also made Turkey’s preferred approach of establishing a no-fly zone to protect rebel forces from bombardment by the Syrian air force impossible to implement. Indeed, among the targets hit by Russian airpower were rebel groups backed by Ankara. The Russian jet shot down after violating Turkish airspace in November had been carrying out attacks against a Turkmen militia receiving arms from Turkey. Russia also provided financial and military support to the PYD. Not only did this support help the Kurdish forces secure more territory along the Turkish border, Ankara charged that Russian arms were being smuggled to the PKK, fueling the renewed insurgency in Turkey’s southeast. This cascade of problems contributed to Erdoğan’s decision to express regret for the downing of the Russian warplane, which laid the foundation for a rapprochement with Moscow even before the failed coup. Following the apology, the Russian and Turkish governments began trying to find a way forward on the Syrian conflict, while Russia was beginning to roll back sanctions. The ISIS bombing of Istanbul’s Atatürk Airport on June 28 accelerated this process, with Turkish foreign minister Mevlüt Çavuşoğlu and his Russian counterpart Sergey Lavrov soon agreeing to resume security and intelligence cooperation, with a focus on countering ISIS. Russia’s full-throated support for Erdoğan during and after the coup look set to further deepen Russo-Turkish cooperation, even as Turkey’s difficulties give Moscow an opportunity to continue advancing its interests at Ankara’s expense. The Russian response stood in stark contrast to those of Turkey’s Western allies, who condemned the coup (if sometimes slowly), but also have criticized Erdoğan’s wholesale sacking of military officers, judges, and academics and the imposition of a state of emergency in the wake of the coup attempt. Tensions with Washington are also high because of Turkey’s demand for the extradition of the U.S.-based cleric Fethullah Gülen, whom Ankara charges with masterminding the coup. Even if Ankara and Moscow can achieve some degree of coordination over Syria, that conflict as well as Russia’s invasion of Ukraine have already created significant geopolitical challenges for Turkey. The seizure of Crimea and intervention in Syria have allowed Russia to significantly upgrade its naval presence in the Black Sea and eastern Mediterranean. Russia’s development of anti-access/area denial capabilities in these areas threatens to bottle up the Turkish navy and limit the ability of NATO forces to come to Turkey’s aid—a problem exacerbated by post-coup turmoil in the Turkish navy, even if reports of mass defections are false. Russia has also moved to shore up its presence in the South Caucasus, creating a joint air defense system with Armenia and promising to bolster its 5,000-strong troop presence on the Turkish-Armenian border. Following a surprise Azerbaijani offensive in April, Moscow is also playing a more active role in mediating the Armenian-Azerbaijani conflict over Nagorno-Karabakh. Among other goals, Russian diplomacy seeks to peel Baku away from its longstanding alignment with Turkey, re-establishing Russia as the critical power broker throughout the South Caucasus at Turkish (and Western) expense, while limiting prospects for Azerbaijani gas to reach Europe through Turkey. Russia’s strategic advance in the Black Sea, eastern Mediterranean, and South Caucasus, not to mention the mounting cost of the Russian sanctions, was already driving Ankara to seek an accommodation with Moscow before the Turkish military’s abortive effort to oust Erdoğan. Now, facing uncertainty at home and difficulties with its NATO allies, Turkey finds itself increasingly desperate for friends. Russia, never much troubled by strongmen and locked in its own intractable confrontation with the West, seems happy to oblige. Ankara is likely to find that the price of Russian friendship is high—the question is how much it is willing to pay and a new for Turkey re-build relation with Iran in question of syria. We are waiting for a new allies and their new job. 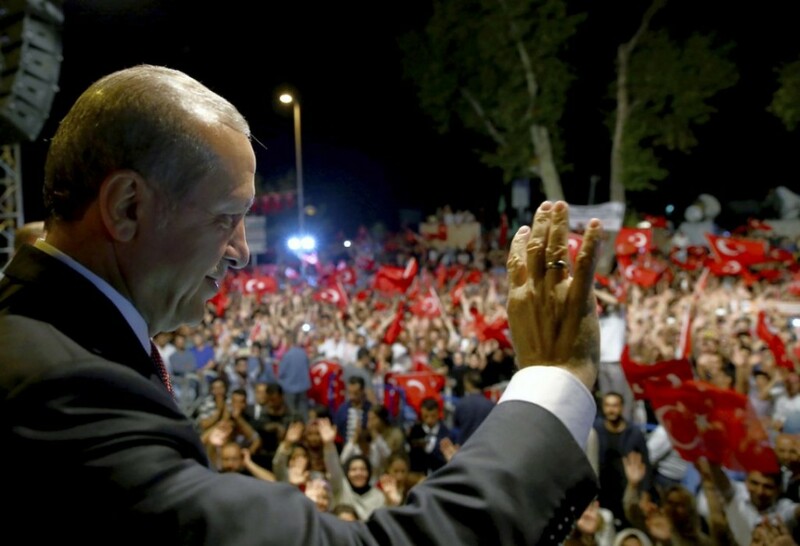 Erdoğan is the Turkish people’s choice, not an autocrat or dictator as some Western media and Western decision makers call him. Calling Erdoğan a dictator or authoritarian is a consequence of a project to lay the ground for the coup. That is clearer than ever now. Reform of the state institutions is ongoing in Turkey to erase the Gülenist factions. The Western world should side with the Turkish people who defeated the coup, not the putschists. We still have hope that our Western friends will stop supporting the putschists. And one should again note that July 15 was an attempt to invade Turkey and imprison our future and that of upcoming generations.